However point out these realities and you will quickly be labelled “anti-renewables,” such is the vacuous nature of too much debate on energy policy. Germany however has been set up as a symbol of the 100% renewables nirvana state to come, so I guess this is understandable. Yet, despite what many believe, Germany has a target of sixty, not one hundred percent, renewable energy by 2050, and is now building more coal power plants than any European country. Again, pointing out that Germany is building coal power plants puts me at risk of getting called “anti-renewables.” Mumbo jumbo rules the world. Here then is what has gone wrong in Germany. It built far too much solar capacity, when wind was a much better option. It closed nuclear power plants, while building coal plants. And it built these coal plants instead of much cleaner, if more expensive, natural gas plants. Yes, again I risk being called “anti-renewables”, but a careful reader will note that I argued for building wind instead of solar. That would, by any reading, be “pro-renewables”, or at least “pro-wind”. Sadly these caveats, while frustrating the flow of one’s prose, are by experience necessary. Here I will focus on the first statement, where conventional opinion is rather misguided. Germany’s solar build up, instead of being a huge success, was a massive mis-application of much needed effort. In 2012 Germany had one third of the world’s solar panels, and at one point these panels generated over half of Germany’s electricity demand. This is how things are normally put. But it as rather like talking about a third rate golfer and only referring to the time he almost won the US Masters. Yes, Germany got 50% of its electricity from solar one afternoon. Throughout the year it only produced 5%. The 5% is what really matters. The 50% gets all the headlines. And solar is an awful source of energy in a country as cloudy and as far north as Germany. Electricity has to be available when we want it. Germans, like many Europeans, most want the stuff around 6 pm on a cold Winter evening. This is an incredibly reliable peak in demand. Yet, the electricity supplied by Germany’s solar panels at 6 pm on a cold December is also incredibly reliable: zero. Physical realities mean that Germany’s solar panels generate a pitiful amount of electricity for a large part of the year. This is demonstrated by comparing the output of Germany’s solar panels in July 2013, 5.1 TWh, with that in January 2013, 0.35 TWh. This is a difference of more than an order of magnitude. Solar is unlikely to be anything other than a marginal source of energy in Germany, simply because of its distance from the equator. And wishful thinking cannot shove Germany ten degrees to the south. The astonishingly poor value for money of Germany’s solar build out can be demonstrated by comparing the subsidies for solar with those for onshore wind. Solar gets more than two times more in subsidies, but produces almost two times less electricity. Just think what could have been done by putting that solar money into wind turbines. Some will counter that Germany’s build up helped costs decline. Yes, this has happened, in part thanks to China dumping under-priced panels in the EU. But what is Germany doing now that the costs have declined? They are building far less solar. At peak Germany was installing 7.5 GW of new solar each year. Now the government wants this to be limited to no more than 2.5 GW per year. To put this number in perspective consider the 10.7 GW of new coal plants Germany is building. It would take between 20 and 30 years to build enough solar panels, at 2.5 GW each year, to match the electricity generated by these coal plants. Solar then appears to have left Germany with a very hefty bill, and with very little to show for it. Or I should say wishful thinking politicians have. Solar remains a very promising long term bet compared with wind, because of its higher power density. Just not in cloudy northern countries. Please, stay on topic and avoid blatant promotion of your own stuff. If we would replace solar with biomass, what would your thoughts be? Much of German renewables are biomass and at least on a first take, they have relatively low cost and employment per power generated. Solar PV in Germany is normally promoted as being complementary to wind on a seasonal basis. And yes, it is true that this complementary nature of wind and solar will allow for somewhat higher penetrations without serious issues from the intermittency than if only one source of intermittent renewable electricity (wind) was used. However, I agree that the very bad quality of the solar resource in Germany more than cancels out this advantage. A very interesting study I recently reported on showed that the welfare optimized power mix in north-west Europe will include almost no solar PV even if the price dropped by 60%, a €20/ton CO2 price was implemented and the entire grid was made to facilitate the intermittency of wind and solar. More importantly, it showed that technology-forcing of renewables instead of other low carbon options like nuclear or CCS would increase power prices by 15-35% and increase CO2 emissions by 100-200%. A couple of little known facts. Growth in bio-energy in Germany since 2000 has been greater than in wind and solar combined. 6% of German land is liquid biofuel plantations. Yet, this provides about 1% of German energy consumption. This shows that biomass is growing far faster than most people realise – EU statistics show that most of the RE target will be met by bio-energy – but also that biomass has fundamental problems. Total EU wood production is half a billion cubic metres of wood, for all purposes. Burning this would give you something like 10 or 15% of EU energy consumption. So, the stuff does not scale up. The carbon neutrality of biomass is also looking more and more dubious, as more evidence comes in. And increasingly environmental groups are opposing biomass. So, I don’t see it having great future prospects. Complimentarity of wind and solar is a regular talking point, often accompanied with a dubious graph stacking monthly wind and solar on top of one another. Likewise “when the sun is not shining it tends to be windy” is a favourite of various illiterate advocates in the UK. Costs of solar should not be put in vacuous $/MWh figures for electricity generated. I’m sitting here typing this at 11 pm on a dull February. According to the National Grid: 4.2 GW is coming from gas, 12. GW from coal, 7.6 from nuclear, and 5.6 GW. I don’t need to tell you how much is coming from solar. Yet, in the likes of the UK and Germany we need electricity most when there is absolutely no sun. This again is something propagandists in the German Green Party deny by telling credulous American and British greens that solar peaks when German demand peaks in summer. “Grid parity” is another new talking point. Costs only reach parity if there is service parity. This seems pretty common sense. Instead we get people claiming solar is cheaper than nuclear because of the cost per kWh. One plant can run at 90% load factor, and be ultra reliable. The other literally produces zero electricity half of the time. Regulators need to come up with a way of pricing in intermittency, otherwise the electricity market will continue to be in a bad state. The difficult thing is that there is no consensus on how to do this. If memory serves, Germany’s Energiewende policies resulted from a strong belief among the German electorate about the importance and urgency of climate change. Then after Fukashima, popular sentiment turned against nuclear power, which again policy sought to follow. The irony is, of course, that if one believes in the importance of mitigating carbon dioxide emissions, one should embrace nuclear power at least for the medium term. (Fukashima illustrated that one shouldn’t build nuclear plants in major eathquake zones just as Energiewende shows one shouldn’t put up large solar arrays at high lattitudes.) Instead, Germany now is building coal-fired plants, which are the worst options for carbon mitigation, out of a fear of the possibility of an accident from what is at present the only means of no-carbon baseload electricity. Germans should ask themselves how many people have died from nuclear accidents and then how many have died (and how many others have suffered ailments) from coal production and combustion. The policy of Energiewende was well meaning but absurd especially with respect to solar. The new policy of no nukes shows that it is German policymakers, more than their windmills, that follow the (popular) breezes. Actually, they built quite a bit of wind also, 31 GW according to Wikipedia. Their average grid demand is only 70 GWatts, and 12 GW of this is supplied by baseload nuclear (WNA data). The whole country is smaller than Texas, so I would image there is a lot of wind output correlation, hence the current wind level is probably a bit of a challenge to handle. If they had another 30 GW of wind, rather than their 30 GW of solar, it would be even more challenging. So far, the cost of energy storage has not plummeted as hoped, so that is not an affordable way to allow even more wind to be added. So what can their leaders realistically do to fix the problem? Built more power transmission into neighboring countries, keep telling everyone how great it is, and find a new job before the public figures out how bad it really is. Another unfortunate thing is that Germany may have seriously harmed the global Concentrated Solar Power (CSP) industry by their aggressive support for competing solar PV. Unlike PV, CSP has an affordable energy storage option: thermal storage. Pre-2010, it looked like desert regions like California, Arizona, and Nevada were driving the solar market towards CSP, which was cheaper at the time, and solar power from the deserts with 60% capacity factor was considered a possible major energy source for the US and Europe. Now PV (without storage) has fallen well below the cost of CSP, and it is not clear than any new CSP projects will be started (a few projects from a few years ago will be coming on-line this year though). Yes, the export market (like Greece) for PV solar failed to materialize, and Germany looks like a car lot full of unsold cars (ie; PVs=cars). So they changed their energy plan. Perhaps the missing concept here is steam. Steam is the potential energy used to make electricity and provide heating. It doesn’t matter if the fuel is coal, gas, nuclear, or biomass. A steam line is the same as an electric power line; steam lines convey pressure and temperature potential energy, electric power lines convey voltage. Combined heat and power from efficient fuels combustion likely has the attention of China. A truly modern steam grid must be embedded in high population areas, which eliminates nuclear. The Baltic has the world’s most advanced forestry, including shipping. Also, Russian gas and rail to vast forests. This is likely not a retreat into the “dirty coal” past. As always you throw unfounded accusations in my direction. In my previous post I stated that Germany’s new coal plants were projected to have capacity factors above 80%. I also provided a link to a Poyry study to back this up. And I also stated in the piece that I was referring to new coal plants. You can’t even seem to read what I write before attacking me, no surprise there. Again, I am not playing the victim. I simply was criticising the vacuous nature of energy debates, and your response here just validates my remarks. I “choose to view developments from the very same perspective as the corporations that operate & build coal power stations in Germany.” What is this piffle? Are you actively trying to misrepresent me? How exactly is writing two pieces criticising the building of new coal power plants in Germany taking the “very same perspective” as corporations who build coal plants in Germany? I use “Renewables don’t work” talking points? I suggested before that you take a lesson in basic numeracy, and I now suggest you taking one in reading. And again, I don’t want lessons on wishful thinking from someone who once attacked for me accepting that the formula for kinetic energy is half of mass times velocity squared. Life is too short. If you woud have the courage to admit the solar madness it would be easier to defend the Energiewende. Let’s assume – generously – an average installation cost of €2/Wp for the current solar “fleet”. Total cost roughly €70bn. At capacity factor 11%, output corresponds to roughly 3.5 GW of baseload power. Assuming that that displaced 3.5 GW of coal, the same CO2 reduction could be achieved by building about 7 GW of gas power, the cost for which would be less than €7bn. With over €60bn to spare for building more wind power, hydro, R&D on biofuels, energy efficiency, or any range of things that would be more beneficial than building PV at those latitudes. This is stuff under consideration, not under construction. The report states on the first page that Germany is building 10.7 GW of new coal between 2010 and 2015, so I’m really not sure what your comment is about. I have no problem admiting that the boom in solar power has left us with a big bill to pay over the next few years. I think there could have been a more cost efficient way, but I am not sure if we would also be at the current low price for new solar without these boom years. In the big scheme of things the legacy solar bill is however not as dramatic as it is often put. However, the reality of today is that new solar and wind (esp. onshore) are by far the cheapest and most scalable renewable energy sources in Germany. The challenge of the last decade (commercialization of technology) has been successfully accomplished. Unfortunatly our european electricity market is designed to optimize a traditional mix of conventional power plants – this means that the electricity prices are mainly based on the fuel costs not on full costs. Changing the market design and making it work is among the biggest political challenges now. The current design is the result of very limited 1990s conventional energy thinking. I am not going to waste my time with someone who calls me “anti-renewables” because I say that we should build renewables where they have the best potential. Perhaps you don’t realise how fatuous this comment is, but I trust other readers will. As I pointed out in the post, I think Germany should have spent solar subsidies on wind. This would have resulted in more renewable energy. I am therefore saying that Germany should have more renewable energy than it currently does. If an ideologue such as you like you thinks this makes me “anti-renewables”, well that’s just too bad. So, unless you have some substantive criticism to make, instead of this pathetic guilt by association piffle (Do you actually think I pay attention to the anti-renewables crowd in Germany? ), please don’t comment in future. proves that, ceteribus paribus, German coal plants would have been obliged to reduce their power production if Germany would not have closed some nuclear plants. Europe and the US transitioned from biomass to coal during the industrial revolution for good reason. Biomass cannot be the principal energy source for urban civilizations. Simple calculations confirm this. Germany energy consumption works out at 1 watt per square. Biomass can deliver no more than 0.5 watts per square metre. Where then do we get the trees from? An even more revealing comparison. EU energy consumption is almost 2 billion tonnes , while wood production is around 300 million tonnes. A tonne of wood has much lower energy content than a tonne of oil. So, if we burned all of the wood currently harvested in the EU we would get maybe 10% of EU energy consumption. Biomass is a complete non-starter as a scalable energy source. I would agree that 1960s era nuclear technology is unsuitable for this application. It may turn out that the new crop of small modular reactors (SMRs) will be accetable for dense areas, but certainly future reactors which use the TRISO fuel form (a very robust graphite-encapsulated design) such as the Pebble Bed reactor, which was pioneered in Germany and may be first commercialized by China, will be well suited for applications which have zero tolerance for significant radioactivity releases. 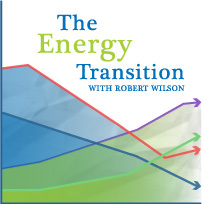 Robert, I never said biomass could be “the principal energy source” for anything. Blandin Foundation is a Finnish entity with strong Minnesota involvement. Sweden hosted a “World Forests Summit 2013” the Brit paper “The Economist” touted. Belarus has forestry workers angry because their government won’t let them quit and work for higher pay in Russia. There is a lot going on besides pre-industrial forestry that might interest some. First, (bio)fuel oxygenate additives work for auto emissions, (bio)fuel oxygenate additives work for coal emissions; this was studied by the U of North Dakota and is now implemented in places. A 10 percent solution, perhaps more. Second, high quality steel pipe for steam lines is far more available today than 200 years ago. We can use miles of steel pipe in a single oil well, thousands of miles in pipelines, and northern Europeans need heat. It seems silly dumping power plant heat in a river, then importing Russian gas for heat. China needs heat, too. Third, forests are growing faster and further north with new CO2 levels and climate change. It’s easy to find problems. Much harder to find solutions. I think there is a helpful effort underway in the Baltic. Thanks. The 6% land figure certainly puts things into perspective. 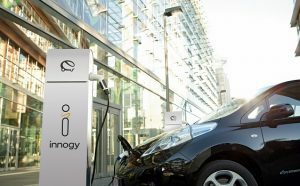 The AGEE* had a report for 2012 where biofuels were put at 11% of the total renewable energy supply, with renewables according to that report supplying around 11.6% of the total energy consumption in Germany. That is pretty much in line with your 1%. Its certainly will not scale very well. Total biomass contributed around 7-8% of German energy contribution. The report is well worth a read regarding costs as well. It paints the picture that biomass is certainly better value than solar. With regard to continued biomass deployment, that is a mixed bag. On one hand I do think that support for biomass projects especially those based on wood and bio-crops will wane due to the reasons you mentioned (further data)*. However there is scope for wastes to be processed though the economics are somewhat suspect. While this can help, again it will only provide a limited amount of resource. The best case would seem to be painted by the third paper below* which suggests an annual potential of around 1770 PJ where the 2012 use is circa 800 PJ. So at best assuming no radical changes, biomass could get maybe 16% of Germany’s total energy use at a stretch. In that view,biomass growth will drop off simply because there is limited local resource. *Development of renewable energy sources in Germany 2012, July 2013. This makes ALL Kinds of sense. And it reveals a calculated deception by the renewables crowd. Let’s not be stupid and talk about “calculated deception by the renewables crowd”. These debates are tiresome enough. Maybe i could be more tactful, but the notion that Power that is Unavailabe for half of a whole day is somehow on grid parity with one available day or night and not in constant fluctuation, this notion begs to be called deceptive, or at least massively unwise. Buyer beware. The upper midwest has reasonable solar at least better than Germany. However it has excellent wind capacity. So there’s no question wind has higher capacity factors and is still considerably cheaper than solar pv. However the best sites politically,environmentally and economically are in the Dakotas and states south of them, and locating HVDC transmission is difficult even through the large farms of Kansas because of land owner opposition. Royalties are being offered for tower location but not enough to change some land owners mind. The EPA regulations if they stand up to court challenges could allow better economics for transmission and better payments to land owners. Solar on the other hand is more locally available, and fewer local environmental and political issues. I do purchase 20,000 kwh/year of wind for and extra $.005/kwh but to move things along a little quicker plan to install a 12 kw pv array this year. Great stuff – absolutely right. Its amazing how much effort Germany has put in to promoting itself as the light of the future. So – I think so much of the criticism of Germany comes down to that most German of words: schadenfreude. If Germany had quietly moved towards renewables, while helping its sunnier EU neighbors to build solar (and then importing their power), we wouldn’t be having this crazy argument. Natural gas is pretty clean and the machines are very efficient. Unfortunately, natural gas in Europe is really expensive (north of US ~$12/MMBTU), as the Russians have a pretty good monopoly on the supply. The Dutch just recently mothballed a brand new, very efficient combined-cycle plant as it was unprofitable at current natural gas costs and market power prices. As part of a recent concept study, we evaluated power price expectations (converted to US $) for new power plants in Europe: coal ~$80/ megawatt-hour; coal gasification ~$90/MWh; natural gas ~$110/MWh; large nuclear ~$120/MWh; small nuclear ~$165/MWH. The Germans quietly building coal plants is perfectly plausible from an economic standpoint. The subject study is in the process of being submitted to the Nuclear Regulatory Commission and Department of Energy. At the risk of spinning up the “greens”, the study is a concept design report for a hybrid-nuclear power plant that uses nuclear and fossil fuels (natural gas or gasified coal). This is a patented US technology and is a brand new thermodynamic cycle. The concept relies on a helium cooled, graphite moderated gas reactor employing the TRISO fuel mentioned earlier Nathan Wilson. The reactor drives the decoupled air compressor of a combustion turbine. This unique configuration is more efficient, produces more power and at lower costs than the parent technologies from which the hybrid is derived. Our financial analysis predicts European power prices as follows: hybrid-nuclear/coal gasification ~$70/MWh; hybrid-nuclear/natural gas ~$80/MWh; hybrid gas reactor (pure nuclear) ~$95/mWh. American and British adoration of German stem from two things: shutting nuclear and building solar. Here was a country that was to show us that we can decarbonise and shut nuclear, all without problems. Easy to see where the temptation came from. With solar, it was a case of wishful thinking and outright illiteracy about energy issues. Some people actually believe that Germany gets half of its energy from solar. This nonsense is obviously fed by incompetent journalism, and the propaganda efforts of the German Green Party. If Germany had done what you suggest no-one would praise it too much. Certainly if the 5% solar power was converted into an additional 10 or 15% wind power people would be less impressed. Pervesely Germany’s unsuitability for solar is a reason for the hype over solar. Where else could solar average 5% but peak at 50%? Perhaps there is an inverse relationship between solar potential and hyped headlines over how much electricity a country gets from solar. The Germans are an ideological green people who have always had misgivings about nuclear and have been building up their wind and solar energy to eventualy replace it. The Fukushima disaster overtook events and Germany closed its nuclear plants before it was ready and you can’t run an industrial counrtry without a lot of power. Hence the coal plants. This is a side issue to their solar activities. I have solar on the roof and it substatialy reduces my power bill, without subsidies, but I still need the grid to take away my surplus power and to keep me going at night. Germans would have the same system. We will always need massive power in the grid but solar and other clean energies can take some of the load and are cheap to run. Only mistake that Germany did are too big Feed-in tariffs for Renevable energy. They were simply not thinking hat would happen if 50% or more energy supplied would be from Renewables. They however realized this and cut down feed in tariffs in time. However, if they could get really cheap PSs that would be also more productive using same wind and sun resources, then it is question of installing sufficient capacity to get enough power and still make profit by selling it. However, existing models have their limitations that has to be overcome. CSP Solars waste lot of land and could not work more han 20 hours per day even in middle of summer. PV plates are still not effective enough even if they are fine on roofs, but on open land they too waste it. WPSs are not much more effective and require distance of about 200m to work properly. As someone noticed, Sun is not aboundant in Germany, but at least it is there in Sumer. However I am surprised that no one seems to have checked WindMaps properly, required 10m/sec. wind speed locations are scarce and far between. So what is solution? PSs that can work 24/365 guaranteed using wind and Sun, capable of keeping stored heat for months or even for year without loses, using heretofore untaped 5m/sec. wind resources that could be found practically anywhere and saving the land for agricultural use at same time. My WindSolars are such PSs and they would be able to produce electicity at cost under 10€ per MWh, because they would be cheap and last at least 100 years with minimal maintenance and almost no repairs. Regards from Croatia 28th EU member and homeland of Engineer Nikola Tesla! Marijan, please put words, not alphabet soup, alphabet soup is an ego burnishing way of saying, “I am part of the “In Group” but not necessarily very good for cummunication unless the only people you care about are your “In Group”. which all showed to be wrong. We now have a new one:Energiewende collapse! Actually an old one in a new coat. There are quite a number of countries and islands that are already 100% renewable regarding electricity generation. E.g El Hiero using wind+little solar+pumped storage (they have no hydro), Iceland, etc. I am overjoyed to hear that you have discovered a loophole in the second law of thermodynamics. Can you possibly email me the workings behind your system? My email address is at the bottom of the piece. I would be very interested in co-authoring a paper with you on this, which could be submitted to Nature or Science, and quickly followed up by a Nobel Prize in Physics. One paradoxical fact not widely known is that coal fired power stations release significantly more radiation into the general environment than nuclear plants when both are operating correctly – due to trace amounts of uranium in the coal! Whilst it is true that Germany is building a fleet of new coal fired power stations, it is my understanding that no more are planned after the current batch, and that many of the existing coal fired stations are facing planned closure. In my view, the most cost effective way to achieve a reduction in emissions, is the Negawatt – i.e. reduce consumption. (If more efficient technology results in power or heat not being used, it does not have to be generated, and this avoidance of the need to generate is in the vast majority of cases a cleaner option than any form of electricity generation or heat production). You are joking but I am not. Perhaps You like all others think that formula for Kinetic Energy from Wind is 1/2 * m * v^2, and if it is so, kindly tell me which HALF od m * v^2 it is and what is in this case OTHER HALF? I do not know which genius has done it, but this formula had 1.0 in front of it (where this was efficiency coefficient of 100% effective turbine) and should properly read: 1.0 * 1/2 * m * v^2 in which form it is formula for “Maximum Extractable Kinetic Energy from Wind” in case of 100% efficient turbine. Moreover I have found in Betz Formula TWO mistakes, FIRST being using wrong formula to calculate energy contained in the Wind of certain speed in front AND behind turbine, and this is wrong because we need to know just how much energy has been left unused in air flow behind turbine, NOT how much energy we can extact from it. Betz Formula also use ratio of v2/v1 to supposedly calculate efficiency of turbine, but since v2 represent all energy that was left UNUSED by turbine, ratio can show only coefficient of INEFFICIENCY, and that is SECOND mistake! IF by formula for “Maximum Extractable Kinetic Energy from Wind” in its proper form 1.0 * 1/2 * m * v^2 we cannot extract more than 50% of energy from Wind, due to Second Law of Thermodynamic called “Mass Movement Continuation”, then we HAVE TO HAVE 50% of energy left unused as represented by V2^2, THEREFORE V2 cannot be smaller that 70,076…% of V1, so I must conclude that Betz Ratio of 1/3 is NOT POSSIBLE, and that is the ratio at which supposedly 59.3% of energy could be extracted from WInd. Which is also IMPOSSIBLE as MAXIMUM Extractable Kinetic Energy is 50% on 100% effective Turbine, and if I am not wrong, 100% is all there is, would You not agree? Now, first formula is valid for all turbines where: Inlet and Outlet of Turbine are of same size and Wind retain its original Vector of movement, and turbine slow down air speed by extracting Kinetic Energy fromm it. It is valid because 100% effective Turbine would extract ALL Kinetic Energy from Wind and air would stop within or on exit of Turbine, becoming obstacle which next volume of Wind must push forward, thus adding half of differencein energies, so because stopped air has ZERO energy difference to add is 50% of energy of the Wind that enters Turbine. Then again 100% effective turbine extract ALL Kinetic Energy from Wind (just this time only 50% that is being left in it) and air stops and then it continues like this. However, everybody has forgotten that in first pass Turbine extracted 100% of Kinetic Energy from Wind, so if stopped air would be removed from behind of it in some other way, it would CONTINUE to extract 100%, NOT just 50% as usuall. So this is what I discovered, that without certain conditions Second Law of Thermodynamic do not apply! Therefore my turbine MUST be 200% efective as compared to usuall models of Turbines for Wind, if they are equally effective otherwise. However I minimized or eliminated drags that plaque other turbines, and those drags account for 1/2 of loses in energy conversion in standard turbines, so again my turbine is 200% as effective in extracting Kinetic Energy from Wind,compared to standard models. Alltogether it is at least 400% as effective as standard models with three blades! There are other benefits like harnessing Centrifugal Force instead of fighting it, no “Optimal” wind speed for blades, as there are no blades and therefore no”Stalling Effect”, and since there is no “Optimal” wind speed, my Turbine works equally at all Wind speeds up to Huricane speed, no need to stop at 25m/sec. Wind speed like other Turbines. SORY Mr. Wilson, I would not share MY Nobel Prize with You! Regards from Croatia, the homeland of Engineer Nikola Tesla! What people are losing sight of is that we must stop burning fossil fuels because we have already put a huge pulse of CO2 into the atmosphere and it is changing the climate in a disasterous way. The best solution is to not use energy in the first place so energy saving is the cheapest option. Solar on houses takes demand off the grid but you are still left with the demands of industry and transport. However Germany approaches the problem they are miles ahead of the USA and many other countries who are still debating the science. If they get a few things wrong its not as bad as getting the whole problem wrong and denying the reality. Hi Heber, I don’t know that you read the article as it’s conclusions are very different to yours. It is good to be aware, imho, that you are advancing an old argument that has been significantly countered by many posts on the energy collective discussions, many times it has been pointed out the benefits of renewables, unless you can counter those articles with facts and figures, I would say you are just passing on someone else’s un-informed ignorance. Whilst Renewables are often intermittent, when they are contributing, other plants that cost a lot to run can close down or back off, saving not only carbon dioxide emissions but also expensive fuel and wear and tear. Sometimes the renewables also line up with peak periods, Wind in many sites at the evening peak and Solar at peak air-conditioning demand times, Hydro also used for peak lopping and as more different renewables like Wave and Tidal and Geothermal are put into the mix, the more complete the renewable contribution will be. Storage is also starting to be developed and used. For solar & wind owners even a price of $1-2/MWh is still better than to stop production. So when they produce 100%, whole sale prices will go down towards that level. But power plants need at least $10-20/MWh in order to earn enough to pay for their variable costs, such as fuel. So it is beneficial for power plants to down-regulate to near zero if the whole sale price goes down below that level. The old power plants could not. So the utilities changed and are changing those old power plants for new ones that can down regulate deep and fast. Higher efficiency: old ~35%, new: ~55%. So significant less CO2 per MWh electricity. Can also burns mixtures of biomass and waste. So they have a future in 100% renewable. Can up- and down-regulate fast, and down-regulate to below 10%. As the share of solar and wind grows, they will close all old plants as those cannot compete in an environment in which wind & solar often produce 100% of what is needed. The south of Germany has lot more sun. So it is more profitable there. Note that the south of Germany gets less sun as the north of USA, as Germany is much more near the north-pole so the sun is lower at the sky (higher latitude). Utilities in Germany spent more than enough money building gas and coal plants. Probably the utilities underestimated the expansion speed of electricity production by wind+solar. To their excuse, it can be said that the speed of installing wind+solar got out of hand in 2011 and 2012. Those years saw wind+solar installation rate of ~10GW/year, while the planned rate was (and is) 5GW/year. Now Gabriël add taxes, etc. in order to prevent further overruns of the 5GW/year installation rate (2.5GW solar, 2.5GW wind). Important since grid adaptation does not go faster, and the Energiewende levy should stay low (so the 90% support by voters will not go down). in autumn and winter solar produce less, but wind blows more. So installing both makes migration towards 100% renewable more easy. Which is what Germany targets (2.5GW wind, 2.5GW solar). Agree, they again overshooted their target last year (~6GW installed while target was 5GW). So now they implement more measures to curb the speed of installation wind and especially solar. Reality is the opposite it goes faster than scenario targets. Same with many other similar headlines regarding the Energiewende. I live in Netherlands. We have no real renewable policy. Our electricity prices is ~€20cnt/KWh (about half is taxes, as usual). A 5KW solar installation on my roof costs ~€7000,- all-in, no maintenance. That installation produces ~5000KWh (I live near the sea = more sun). So that installation delivers me ~€1000/year. So I have my money back in ~8years, while the solar panels last at least 25year (e.g. Sunpower guarantees the production of the panels for 25years). With my money on the bank I get a net return of ~1% here (40% interest tax). So solar is a great return on investment. Hence I really do not see how you can call that a bad investment? The market sells and buys electricity per 15minutes, not per night or day. When you check the reports of Fraunhofer you see that in Germany peak consumption is during the day when all factories and offices run. Mr. Thomas, if You do not understand my “alphabet soup” then feel free to ask. Othervise kindly read my post again untill You at least know what to ask…. I used plain words and few numbers, so I do not see what is bothering You. In my country Solar Feed In tariff was 500€ per MWh, and that was 5 times market price of electricity. Knowing that our government usually copy what Germans do (literaly, they also have cut Feed In Tariffs same as Germans), I suposed same Tariffs were in Germany. With my WindSolars, Feed In Tariffs for Solar and Wind produced electricity are not neccessary and price of electricity would not go up, as it would cost less than 10€ per MWh to produce it using WindSolars. Compare that with 30€ cost for electricity from Coal burning PSs or 50€ from Wind and more from PV and CSP Solars. If electricity produced from fossile fuels burning or Hydro PSs is sold to Grid for half market price which would be 50 to 75€, then owners of my WindSolars would profit at least 2x more than owners of fossile fuels burning PSs, so it would be more profitable to build WindSolars than coal fired PSs, specially when later would being taxed for poluting environment. Solar (CSP type) part of my WindSolars would have thermal storage situated underground and therefore perfectly isolated, so collected heat would be kept there for months without loses, and so it would be available in winter when cloudy weather prevails in Europe on north. With standardly installed 2x greater capacity in Solar Concentrator units then planned to be used in 1 day, 200 sunny days per year would be sufficient for Solar to work 24/365 without problems, even delivering 2x more electricity at “Peak Consumption” periods if they do not last more than 4 hours per day and there is matching “Low Consumption” periods when at most 1/2 of electricity is needed lasting at least 8 hours. Since any surplus electricity produced using wind is easily converted to heat it can be stored in same thermal storage of Solar, this add to energy stored that could be recreated to electricity when required. Therefore intermitency of Sun and Wind would no more be a problem and we would have new stable, depandable and predictable power supply for Grid or off it. Since my new Solar Concentrator units would serve as greenhouses also, there would be near zero “Land Footprint” (or even a negative one). I hope that now You can understand me. Regards from Croatia, 28th EU Member and homeland of Engineer Nikola Tesla! Bas, that is perhaps the most classic solar PV misconception of all: valuing rooftop solar at residential electricity prices. To make your calculation work, you have to use the residential electricity price of €200/MWh, but the true worth of rooftop solar is a little higher than the wholesale price (around €40/MWh) at negligible penetrations and the value rapidly falls as penetration increases (due to the effect of intermittency). The picture also becomes a lot rosier if you neglect the time-value of money (the long-term return of any worthwhile professionally managed fund is at least 7% p.a. implying that $7000 today will be worth €38000 in 25 years). If people install rooftop solar with net metering, utilities can sell less electricity. However, rooftop solar does not displace any power plants or transmission infrastructure (especially in the Netherlands). Hence, the fixed costs of this infrastructure must now be distributed over fewer kWh of electricity sold, thus raising residential electricity prices. In this way, the net metering system forces people without solar PV on their roofs (who now have to buy more expensive electricity) to subsidize people with solar on their roofs (who now buy much less of this more expensive electricity). So, on a societal level, your 5 kW array will generate about 25 years * 5 MWh/year * 40 €/MWh = €5000 of value over a 25 year lifespan with no panel degradation, inverter replacements or other forms of maintenance (if solar PV penetration remains low enough to not significantly reduce its value due to intermittency). In comparison, putting this money to work in other more productive ways earning 7% p.a. on an inflation adjusted basis (i.e. investing in the economic development of the developing world) would have created €38000 in value.